Creating content ideas that brings value to your prospects and clients is one of the hardest things to do as a marketer, especially if you need to do it on a regular basis for your company's blog. Here are five blogging lessons that will allow you to rethink your content creation process and get over any writer's block you may have in creating new content ideas. One of the things I love about the HubSpot COS is just how flexible it can be. This came up the other day on a weekly call with a client whose website I'm moving to the HubSpot COS and redesigning in the process. I explained how most of the site pages will just use one or two templates because I'm going to build custom modules we can add everywhere. This means instead of building page-specific templates, I build just a few and add whatever content we want on the page itself. In this case, it means adding statistics, case studies and a testimonial to the page. None of this could be done without the ability to create custom modules in the HubSpot COS. In this article I'm going to share with you a few reasons why you'd want to create custom modules, and how to do it. Here's the truth: Sales and Marketing need each other. But here's a colder, harder truth: They hate each other. According to a recent survey, 87% of the terms marketing and sales team use to describe each other are negative. Based on my experience working in different industries, the main culprit is the failure to act as one. Your boss sent you an email; she wants you to write an article about the newest CRM platform inside sales is using. The problem: you're not a techie. Another problem: you're not in sales. What would you do? Google? Wikipedia? Burn the midnight oil and send the article to her inbox before the deadline? Well, it's possible you can beat the deadline and earn your boss' approval. But I bet a dime to a dollar it won't be as in-depth and as comprehensive as you'd like it to be. I always believe in working smarter rather than harder. One of the culprits of poor sales conversion isn't the service nor the brand itself. It's how businesses create, organize and distribute content. However, there's a science to this madness – although it isn't a quick fix. In fact, be careful of content marketing agencies who says they've conducted a quick audit and would like to get you as their client. It depends on the motivation, the program and the end result this "dog" is looking for. When it comes to transitioning from traditional to inbound marketing, this same question applies. How Long Does It Take For Inbound Marketing to Work? "Ashley, your plan is great and we'd like to give it a go. But we're kinda curious. 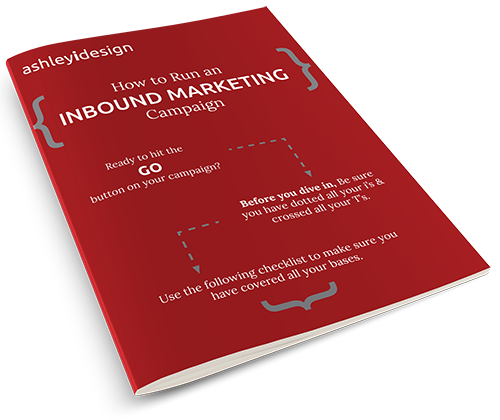 In your experience, how long does it take before we see results from inbound marketing?" Any inbound marketing agency hates answering that question. Fact: Consumers are becoming more sophisticated every day.